Star Walk is your realistic guide for star gazing from your iPhone. Star Walk covers about 9000 stars, planets and constellations and comes with Time Machine and Lunar Phase features. Whenever you admire the starry night sky, Star Walk helps you to recognize anonymous heavenly bodies. Just find them on your interactive star map and tap i to retrieve useful information, such as celestial coordinates of these heavenly bodies. Don’t be afraid to get overloaded by tons of specific terms. Star Walk is not for scientific use but for learning something new playfully. The cutting-edge graphics and smooth moving/scaling make your work with Star Walk pleasant and easy. You do not need a manual for using Star Walk because of its intuitive interface. Do you like stars? 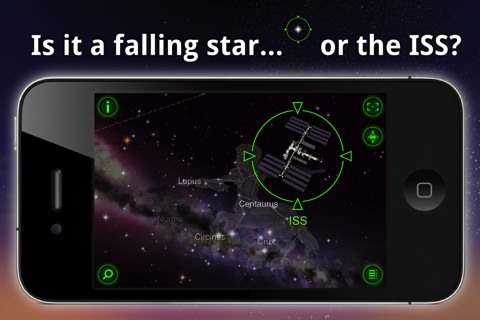 Star Walk is a stellar augmented reality app that labels all the stars, constellations, and satellites you point your iPhone at. You can track the ISS, find out what constellation you’ve been looking at from your bedroom window and get a lot of exciting and educative information. – Calendar of Celestial Events: plan stargazing without leaving your favorite app. – Big Screen – connect a second display to view the sky on a big screen. – AirPrint, Moon Phases, Info, View from any location, TelRad, Sharing, Bookmarks, and more! 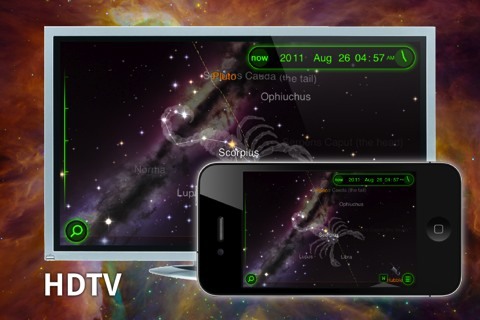 Please note that if you have iPhone 3 or 3rd gen iPod Touch, Star Walk won’t be able to track your motions in real time. AppSafari review of Star Walk was written by Joe Seifi on November 21st, 2008 and categorized under App Store, Education, Featured, Fun, Maps, Reference. Page viewed 9897 times, 2 so far today. Need help on using these apps? Please read the Help Page. I must admit after this app I have fallen in love with astrology. It is so cool to know what’s up there. My dates are really impressed! Nice one. Worth it’s money. Star walk needs an exoplanet guide, so that we can know which of the stars we are observing have planets, and the data on those planets, in terms of Au’s, jupiter masses, earth masses, and perpaps probable temperature. This will add to the sense of wonder one feels while using the app. Find 9 Easter Eggs in the night sky of Star Walk and get an iPod Touch for free. Or find ta least some and iTunes gift card! I don´t have an iphone but this is surely cool software, and even more adecuate for a portable device. Cool! I cannot believe this app, I thought it would be a little naff to be honest but am truly blown away. I never knew this kind of stuff existed & in my view makes the I-Phone worth having just for that! This app is great. But please tell me the purpose of the increasing number (now 39) on the app icon. This is push notification for astronomy picture of the day just have a look at all pictures and they will disapear. To switch this off just go to your general setting> notifications> star walk> and set them off. Please let me know if you succeed in this. Thanks!